But of course, we’re going to talk about the divine grace that is generously given from God our Father. These verses are powerful and accurate. None of us measure up. I recently spoke with someone who is struggling with past decisions. But God loves us so much and His grace extends into merciful and undeserved forgiveness. And for those who have trusted in Jesus Christ, God has cast our sins as far as the east is from the west (Psalm 103:12). No, WE are the ones making a list of sins. He is not. God offers endless grace to His children, yet we won’t let it go. We use past hurts and wrongdoings to create walls around our hearts and set boundaries for other relationships. And that hurts God because He tells us over and over in the Bible that when we trust in Jesus, we’re forgiven! If His grace and mercy aren’t enough, what was the purpose of Jesus’ crucifixion? I assure you – He didn’t do it without reason. And that was so you and I wouldn’t have to bear the punishment we deserve. 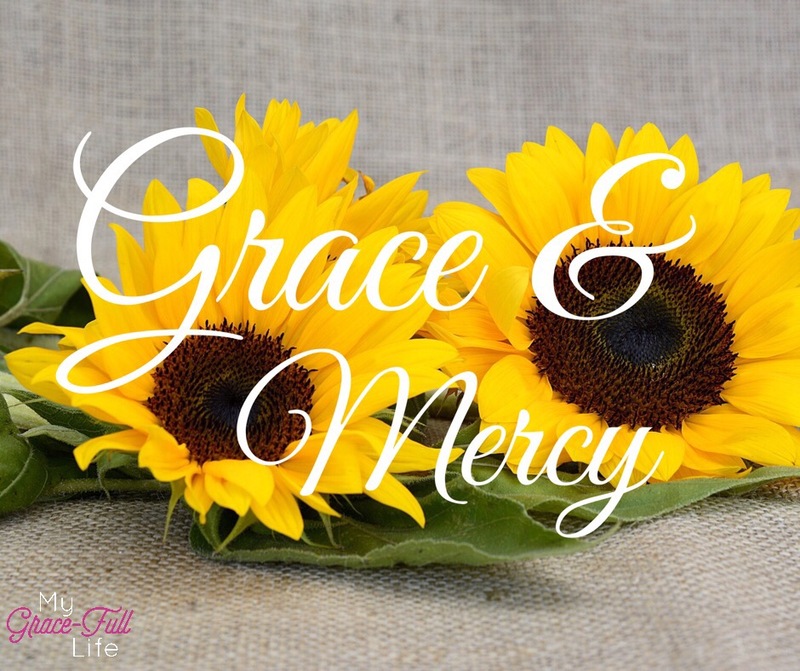 Today, as you pray, thank God for His grace and mercy. If you know you’re forgiven, yet still like to beat yourself up, ask Him to help you forgive yourself… to show yourself a little grace and mercy too.